Every year in the UK there are between 200 and 250 reported cases of Legionnaires’ disease – a potentially fatal form of pneumonia. 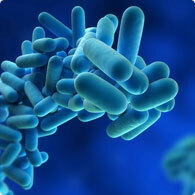 Under the Water Supply (Water Fittings) Regulations 1999 employers, landlords or those with responsibility for managing premises with hot/cold water services and/or wet cooling systems must take steps to assess and manage the risk of legionella. This should involve a risk assessment, preparing a plan to manage the risk and will involve regular monitoring and record keeping. Global Environmental manage, prepare and maintain your water hygiene management plan for you. Our qualified and experienced water hygiene assessors survey your premises to assess the risk and prepare a report which includes a full photographic and schematic asset register and outlines the current condition of your water systems, details any recommended remedial actions required to meet current standards and legal requirements. We facilitate the implementation of this action plan including implementing any cleaning or disinfection required, on-site training, a schedule for on-going water sampling and monitoring and arrange laboratory testing undertaken by UKAS-accredited laboratories.